First impressions count. 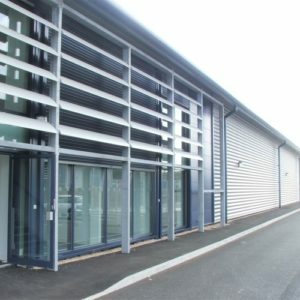 Make sure that your building or industrial unit gives the right one with APT’s cladding cleaning services. Our cladding cleaning services could increase your sales, leasing opportunities of the property and prevent dilapidation claims. We use environmentally friendly products as opposed to harsh toxic chemicals which can, in the long term, affect the surface of your building as well as harm the environment. Our specialised products help to keep your property clean, restoring all types of cladding to their pristine state. The products are non-abrasive and compatible with powder-coated, plastic-coated, stainless steel or anodised aluminium panels. Some commercial cleaning companies will promise you anything just to get that contract. We let our work do the talking. Our clients are satisfied seeing their cladding free from dirt and grime. Maintaining clean cladding can extend its lifespan and reduce maintenance costs of your business. Our staff are fully trained in the efficient use of cleaning equipment and are able to complete a cladding cleaning project faster and more efficiently, meaning that you benefit from lower costs. We provide exterior building cleaning in whatever the cladding type, age, condition, or material. It doesn’t matter how tall or how long your building might be. We can inspect, wash, clean, refurbish, repaint, and renew the cladding anywhere in the UK. Size doesn’t matter. We provide our commercial cleaning services to small business and large corporations in and throughout Britain. During the latter half of the 20th century, architects have used aluminium and steel cladding to enhance buildings. Even these two environmentally tough materials cannot resist the ravages of time – the weather takes its toll, algae, mildew and moss grow and a once smart building begins to look run-down and uncared for. Using environmentally friendly specialised cleaning methods we can revitalise areas of stainless steel and aluminium cladding on your building. Our exterior building cleaning services also include gutter cleaning.